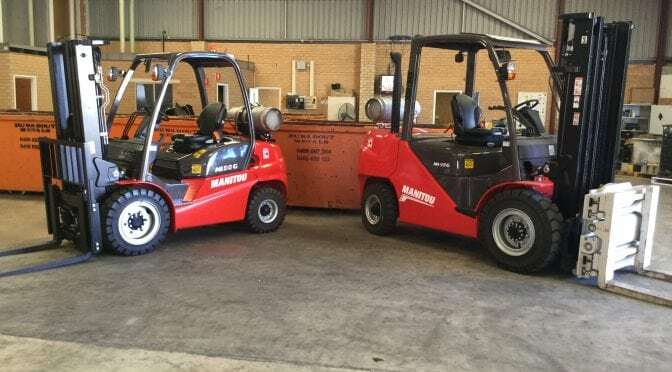 Runabout Metals have just taken delivery of their brand new Manitou MI45G and MI30G Forklifts. The 45 is equipped with a fork inverter for tipping recycled materials into hoppers and the MI30G is a standard 3.0 ton LPG container forklift . Most importantly its a Manitou so its tough and engineered to provide excellent service life. 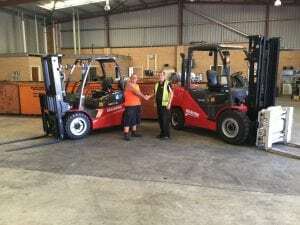 Mel, owner of Runabout Metals recons “puchasing the MI forklifts is the best move he’s ever made” and is looking forward to a long life from these machines. Runabout Metals are a Canning Vale based recycling company with 18 years of service backed by over 60 years of recycling experience. Talk to our team for more information on the Manitou range of forklifts.